Great for sandwiches or tomatoes. 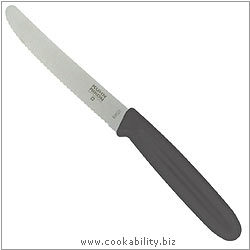 Swiss stainless steel serrated blade. Polycarbonate handle.